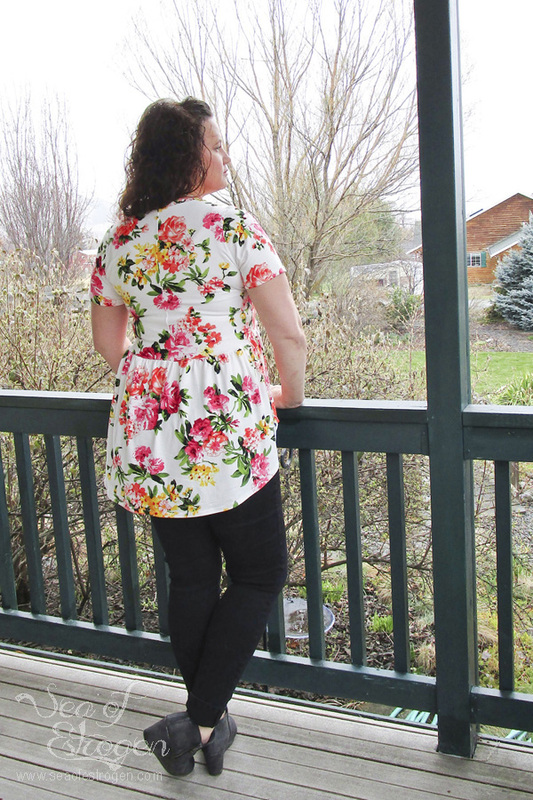 Spring dresses are making their rounds right now, and Patterns for Pirates just released their latest pattern, the Boho Babydoll Dress. 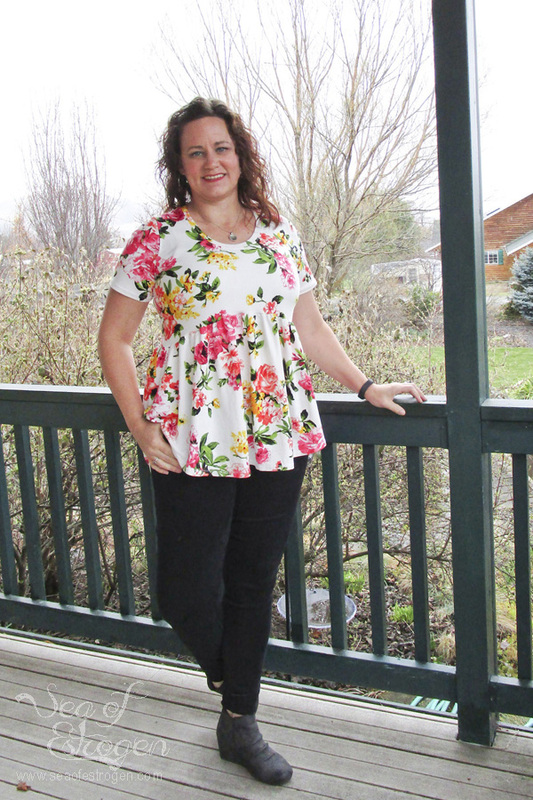 I was part of the amazing testing group, and I am thrilled to be sharing this pattern today! 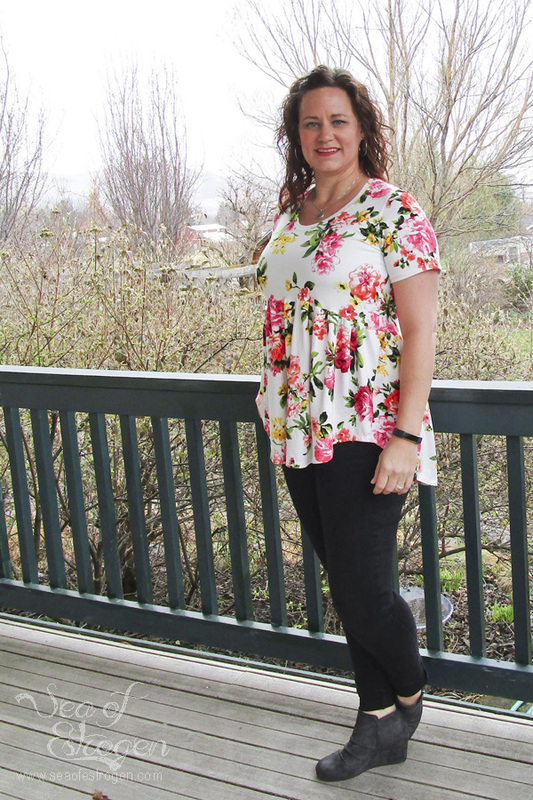 The Boho Babydoll is a great throw on style that says I’m put together, but I am also super comfortable! 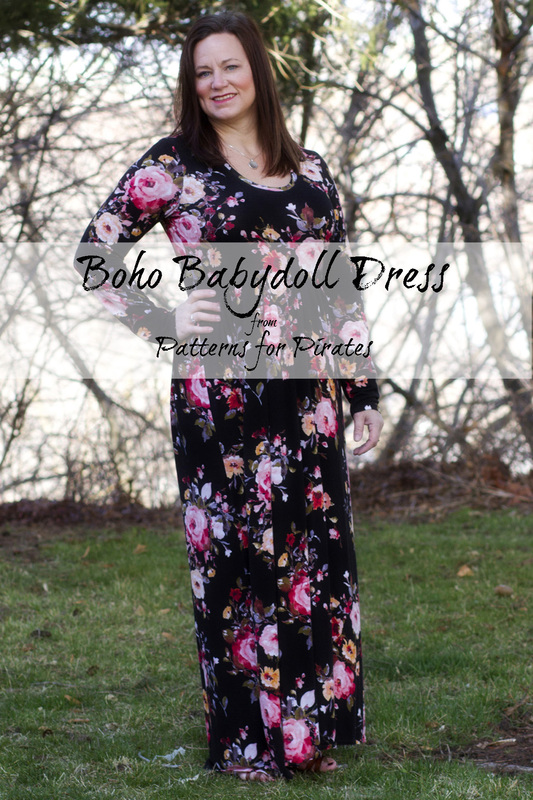 As with all Patterns for Pirates sewing patterns, the Boho Babydoll Dress is a downloadable PDF pattern that includes layers, printing guide, and no-trim pages that overlap, making pattern assembly quick and easy. The PDF files are available in US Letter, A4 paper, and AO copy shop sizes. The Boho Babydoll is designed for drapey, lightweight knit fabric with at least 20% stretch, and suggested fabrics include rayon spandex, modal, bamboo, and lightweight sweater knit. In addition to basic sewing supplies, hem tape and clear elastic are recommended. 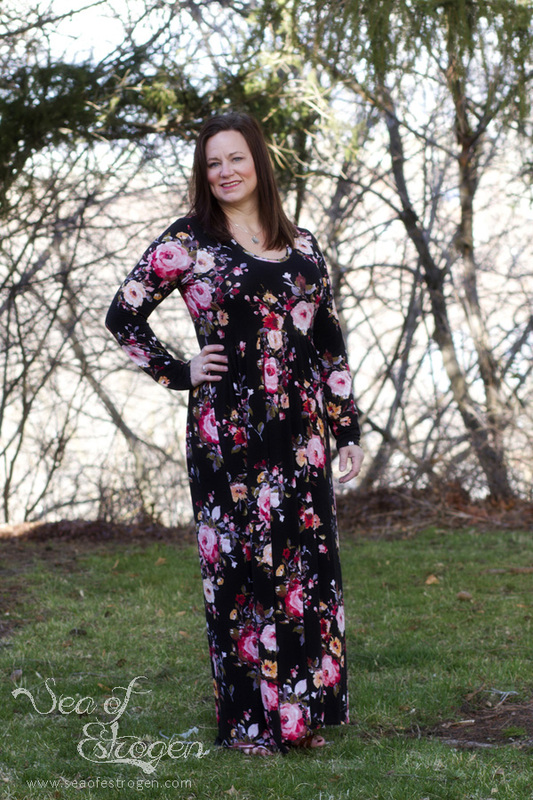 The pattern is drafted for sizes ranging from XXS to Plus 3X. The Boho Babydoll is designed to have a semi-fitted bodice with a looser underbust and skirt. It is meant to come in under the bust slightly, but not be snug to the under-bust. The dress features an empire waist on the front, dipping down to the natural waist in the back. Just like all the Patterns for Pirates patterns, the Boho Babydoll is loaded with options. 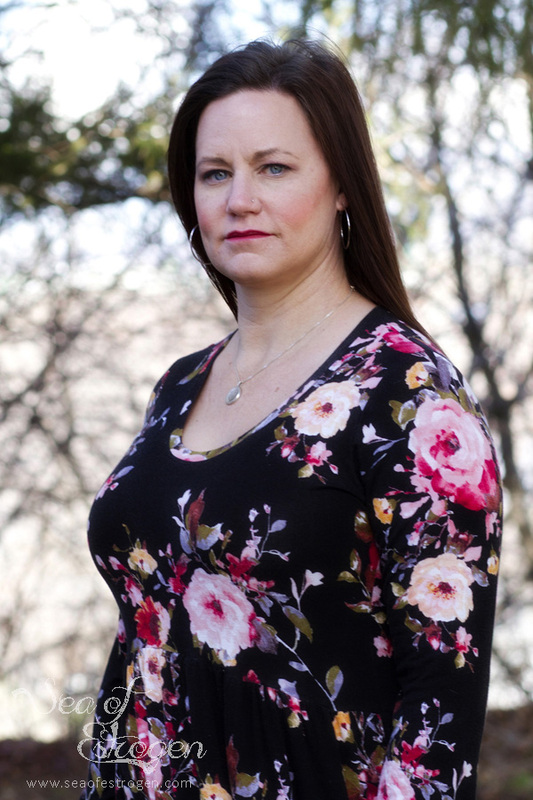 It includes four sleeve options, two necklines, a racerback tank option, and four skirt lengths. 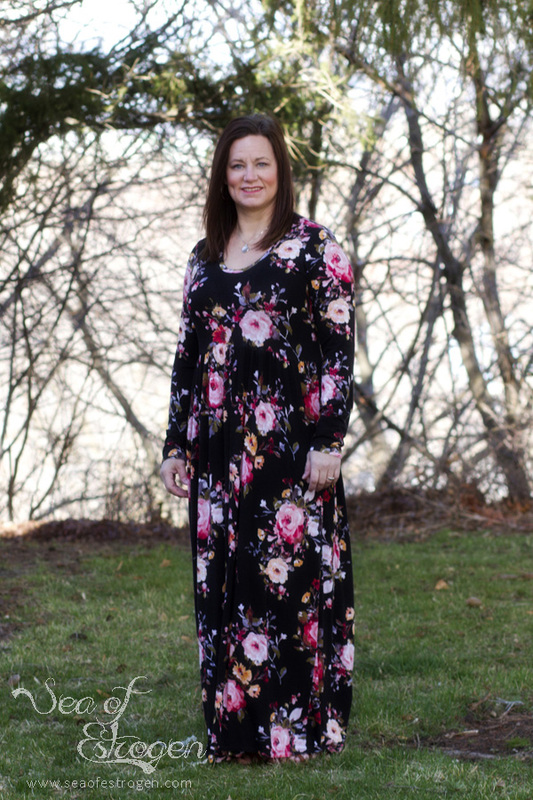 The version I made is the long sleeve, scoop neck, high-low maxi dress. The Boho Babydoll is on sale for $7.50 through April 10th at 11:59pm CST, so grab it while it’s still on sale. Join the Facebook Group to see more pictures and share with other Patterns for Pirates fans. In addition, don’t forget to check out the Pattern Hack Blog Post, which illustrates different ways to change up the pattern! In addition to the Boho Babydoll, P4P is also releasing the Boho Babydoll Youth Pattern, also on sale for $7.50 through April 10th at 11:59pm CST. If you are interested in both patterns, and would like to save even more, they are available in the Boho Babydoll Bundle for $14.00 through April 10th at 11:59pm CST. The bundle will only be available through the release sale. I know I sound like a broken record when I say I don’t wear dresses, but I really don’t. I work as a marketing and graphic design professional for a manufacturing company. Our offices are industrial and extremely casual (nice t-shirts and jeans are acceptable attire). It just isn’t practical for me to wear dresses to work. However, Todd and I have been doing more things where casual dresses are totally appropriate, so I have options now. 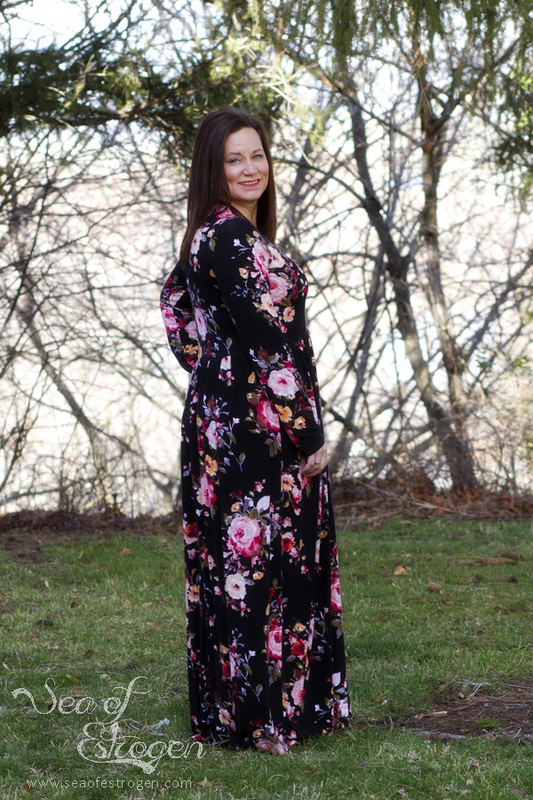 With the release of the Mama Adeline last week, and the Boho Babydoll this week, the Made for Mermaids and Patterns for Pirates ladies are slowly converting me to be a dress wearer. They are just so comfortable, it is hard to pass up the opportunity when it presents itself. After testing was finished, I realized I had this gorgeous June double brushed poly from Mily Mae Fabrics. I knew it would make a perfect Boho Babydoll top for work. 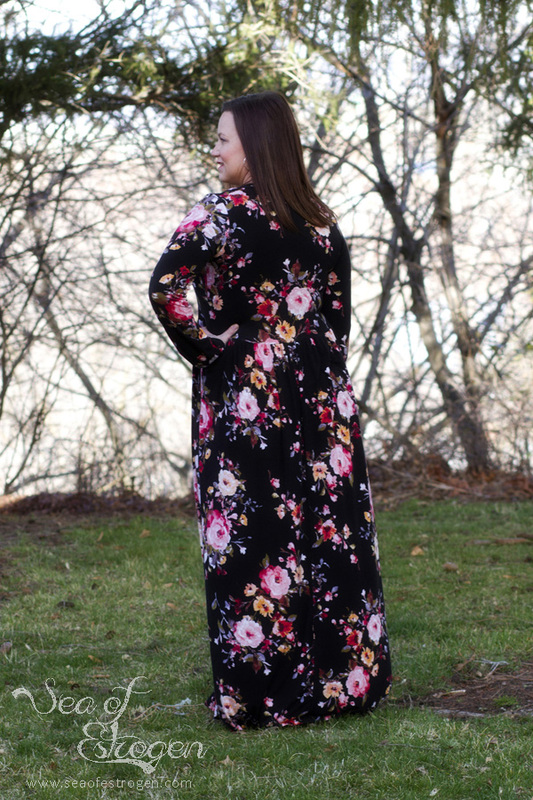 When I wore it to work, I received tons of compliments about the style, but also about how gorgeous the fabric is!